« Watch “Shelter” on IMDB! At long last a film I worked on has been released to the general public! Thus far all of the feature films I have worked on, if they have been completed at all, have only screened in front of festival audiences. But just a few minutes ago I stumbled upon the information that Just Add Water was released on DVD two weeks ago. I worked as a grip for a couple of days on it during the last couple days of reshoots two years ago to the day. That’s how long it sometimes takes to go from shooting on the set to my Netflix queue. 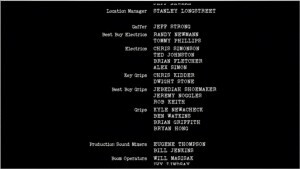 I don’t even know at this juncture if my name is even in the credits but I can’t wait to see the final product even if it was only deemed worthy of a direct to DVD release, haha. I was actually still in film school when I got this gig… so it seemed especially big time to me… hotel and even some gas money paid for, a huge grip truck with everything so no need to jury rig things when you always have the right tool for the job. But man it sure was hot out in the desert in June! Anyways, it’s good to finally see that something I worked on is actually in a place were some people might actually see it! 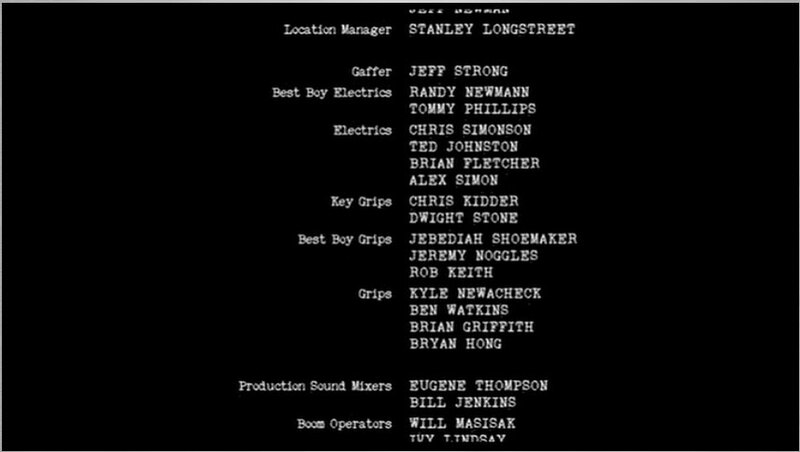 I have included this screen shot to save you from watching the whole movie if you just wanted to see my name in there. Watching it was not exactly the most enjoyable experience of my life, haha. This entry was posted in Film and Film Making and tagged credits, DVD, film, Just Add Water, Netflix. Bookmark the permalink. Both comments and trackbacks are currently closed.